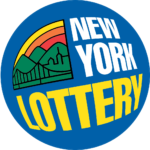 New York has jailed two men for “discounting” or aggregating lottery tickets — buying tickets fr om legitimate winners for below face value. The legitimate winner typically gets up to $600 for a $1000 winner. The discounter then turns in the ticket and claims the prize. The benefit to the legitimate winner is that they get their money immediately and they avoid having back taxes or child support garnished from their winnings. However, this transaction is illegal (probably both because of the tax evasion angle and because it provides an avenue for money laundering). The arrests come on the heels of an exposé by the New York Daily News on frequent lottery winners. Ticket discounting has been a hot topic for reporters since Lawrence Mower’s exposé of the activity in Florida for the Palm Beach Post that led to arrests and stores being banned from doing business with the lottery and contributed to the resignation of the Florida Lottery Secretary. The mathematics behind Mower’s investigation is explained in this paper and this Jupyter notebook. Interestingly, claiming many big prizes is not enough to make someone a suspicious winner. The calculations described in the paper were able to distinguish ticket discounters and problem gamblers in Florida based only on publicly-available data about winners. June 10, 2017 in lottery.